In March 1787 John White joined First Fleet that was assembling at Portsmouth, England. When he boarded the convict transport, Charlotte, he found many of the convicts were in poor health from long imprisonment and living mainly on salt meat. He succeeded in obtaining supplies of fresh meat and vegetables for them, and arranged that they should be allowed up on deck in relays to obtain fresh air. It is to the credit of White and his assistants that, on a voyage of more than eight months, there were only thirty-four deaths. On arrival at Sydney Cove in 1788 outbreaks of scurvy and dysentery and lack of accommodation for the sick were the initial problems. As Surgeon-General of New South Wales, White organised a the erection of a hospital. Even though treatment was hampered by a lack of medical supplies, within a year the incidence of sickness was greatly decreased. On 12 August 1788 he fought a duel with his third assistant, William Balmain, in which, according to one account, both were slightly wounded. Ill feeling between them continued for several years. As a keen amateur naturalist White accompanied Governor Arthur Phillip on two journeys of exploration around Sydney Harbour observing the native flora and fauna. He investigated the potential of Australian plants for use as medicine, particularly the olfactory qualities of eucalyptus which he distilled as eucalyptus oil in 1788. He was the first to describe several endemic species, including White's tree frog. White's Seahorse (pictured above), a species named after John White occurs in depths down to 25m in coastal temperate marine waters. It is endemic to Australia and a common sight in Sydney Harbour. White's journal describing many Australian species was published in London in 1790 as Journal of a Voyage to New South Wales. Accompanying the text were sixty-five copper-plate engravings of birds, animals and plants illustrating the natural history and products of the colony. These were drawn in England from specimens sent by White. Above middle: White, John (1790), Journal of a voyage to New South Wales with sixty-five plates of non-descript animals, birds, lizards, serpents, curious cones of trees and other natural productions, London: J. Debrett, also Project Gutenberg Australia and University of Sydney. 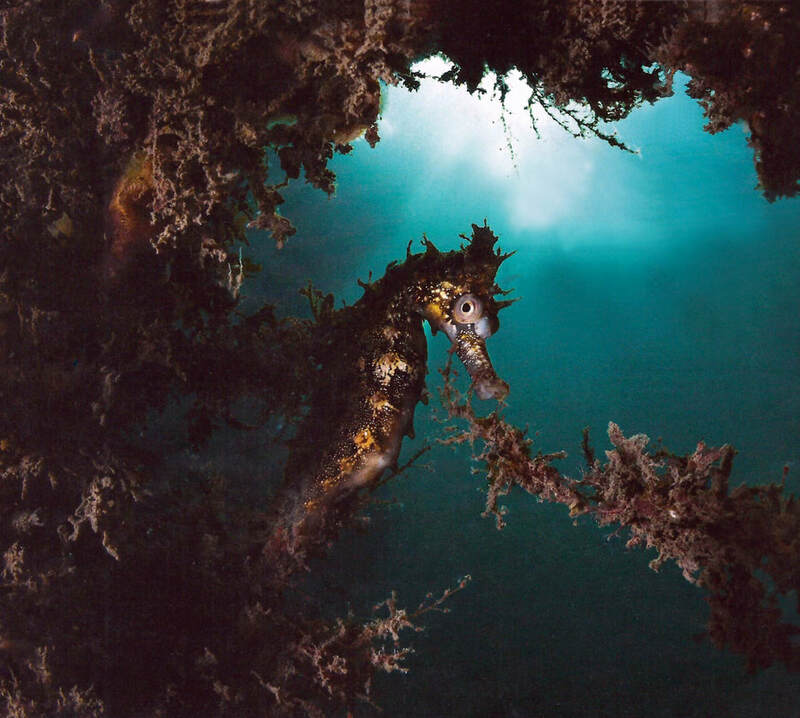 Above right: White's Seahorse was pictured by Matty Smith under the jetty in Clifton Gardens, Mosman, NSW.